"It's going to be a big deal"
Nintendo president Tatsumi Kimishima hosted a big event in Japan detailing the Nintendo Switch and its game lineup. Because it’s a ton of info, we’ll be rapid firing these news with details with each bullet point. 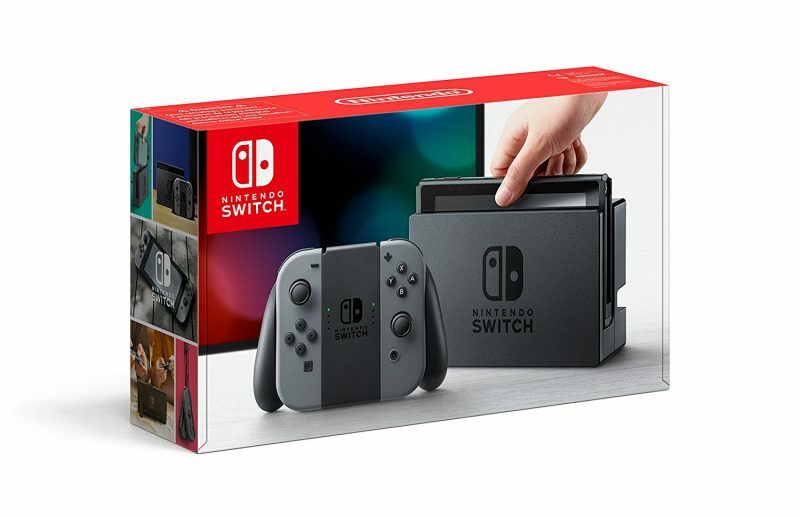 Kimishima didn’t hold the big console details until the end, as it begins with launch facts: - Switch will release March 3rd in Japan, the Americas and Europe, and the American price is $299.99. - You need to connect your mobile device to your Switch system to interact with friends and set up online matches. Set appointments and chat via a dedicated app. - Surprisingly, the Switch’s Nintendo Network is to be a paid service in Fall 2017, but matchmaking will be free until then. Later details explained paying for the unnamed subscription will net you online gaming, voice chat, exclusive sales on the eShop and a free Virtual Console game every month. The free Virtual Console game part mentions online multiplayer for these older games! Very similar to Xbox Live Gold and PlayStation Plus. Will not affect Wii U and 3DS online services. - Analog sticks can be pressed in like buttons, just like Wii U and all the PlayStation/Xbox controllers - NFC reader/writer in the Joy-Con R, allows for amiibo support and perhaps payment options - Record button on the Joy-Con L for snapping screenshots to share on social media and store on system memory. Later patch will add recording gameplay - Both Joy-Cons has accelerometers and motion sensors - Both Joy-Cons have SL/SR shoulder buttons that also lock them on Switch. Allows two players to use each Joy-Con to play local multiplayer. Nintendo calls it “Spreading the Joy” - Joy-Cons are available in traditional gray as well as Neon Red and Neon Blue. Joycons are $80 for a pair or $50 for a single side - Right Joy-Con also has a motion infrared camera that reads distance and hand gestures, - Both Joy-Cons have “HD Rumble,” which can provide compatible games with “subtle vibrations that are much more realistic than before.” Apparently so sensitive, it can allow the player to sense the amount of ice cubes in a virtual glass - System and extra Joy-Cons contains silicone grips and wrist straps. - Pro Controller has motion control and NFC reader. $70. - Joy-Con Charging Grip. $30 - Extra Dock Set. For those playing on multiple TVs. $90. - Joy-Con Wheels. 2-pack. $15. - 1, 2 Switch. Allows two-player action focusing on HD rumble and Spreading the Joy. Releases for Switch launch - Arms. Boxing-style sports game where characters have long, springy arms. Throw punches like shooting. Hold one Joy-Con in each hand and hold it with your thumb grasping the edge. Releases this Spring. - Splatoon 2. Inklings use new weapons like the dual oozies, and customizable hair and pant designs alongside new outfits. Supports Pro controller and motion controls. Releases Summer and will have post-launch content - Super Mario Odyssey. Open-world platforming. Travel to other worlds via a top hat-looking airship. Rescue peach from a wedding with Bowser. Mario's hat is also alive and can be tossed around as a weapon or a platform. Releases Holiday 2017. - Xenoblade Chronicles 2. Looks to be a direct sequel. Play the original Wii/New 3DS game to get the ending and the world you explore it. Big open world RPG it seems, and locales look much like the original game (aka not X). Anime shading. - Fire Emblem Warriors. Like Hyrule Warriors, it’s co-developed by Nintendo, Koei Tecmo, Omega Force and Team Ninja. - Dragon Quest X and XI reconfirmed. - Dragon Quest Heroes 1 & 2. Single package. - Octopath Traveler. Published by Square-Enix and developed by Silicon, the Bravely Default folks. Uses cubic pixel art in a 2.5D world. Traditional JRPG gameplay. - Shin Megami Tensei. New traditional SMT game. Very early in development. - The Elder Scrolls V: Skyrim. Teased last year, it looks to be the enhanced Special Edition that released on PS4 and Xbox One. Releases Fall 2017(!). - No More Heroes. Suda51 announced the return of Travis Touchdown to Switch - FIFA. Coming later this year. - Minecraft and Minecraft Story Mode coming. - The Legend of Zelda: Breath of the Wild. Launching with console. New trailer shows off more voice acting and a lot more story details. Collector’s Edition of The Legend of Zelda: Breath of the Wild for $130. A Master’s Edition without the Master Sword will also be available for $100. New Zelda and Bokoblin amiibo announced and will release alongside the previously announced figures and the standalone Wolf Link amiibo. - Rayman Legends: Definitive Edition. Great platformer, adds exclusive content. Announced after event. Releases at launch - Just Dance 2017. Announced after event. Use 6 Joy-Cons or the Just Dance App. Will use the Unlimited subscription service. Releases launch. - Steep. Open-world snowboard game released on PS4, Xbox One and PC last month with favorable reviews. Announced after event. Releases at launch. - Skylanders Imaginators. $59.99. Announced after event. Releases this Spring. - Puyo Puyo Tetris. Announced after event. Fun puzzle game that combines gameplay of the two systems. Coming this Spring. - Sonic Mania. Announced after event. Play through remixed 1,2,3 and CD stages as Sonic, Tails or Knuckles. Releases Spring 2017 - Mario Kart 8 Deluxe. New Splatoon characters and stages, and all previous DLC included. Contains new, more Super Mario Kart-esque Battle Mode. Feather and Boo items return. Announced after event. Releases this Spring. - Super Bomberman R. Announced after event. - Ultra Street Fighter 2. HD remake of Street Fighter 2. Announced after event. - Wonder Boy: The Dragon’s Trap. Announced after event. - LEGO City Undercover. Released on Wii U four years ago. Nintendo cameos return on Switch version. Releases this Spring. - I am Setsuna. JRPG released on PS4 and PC last year to excellent reviews. Announced after event. Releases March. - Disgaea 5 Complete. Released on PS4 in 2015. Announced after event. Rerelease with more content. - Dragon Ball Xenoverse 2. Released last year for Xbox One, PS4 and PC with favorable reviews. - NBA 2K18. Teased last year. MyPlayer, MyCareer, MyTeam, MyLeague and MyGM modes included (so full-featured). Releases September alongside other versions. - Fast RMX. Successor to Fast Racing Neo on Wii U. Announced after event. F-Zero-like racer. - Has-Been Heroes. Developed my FrozenByle (Trine). Announced after event. Releases March 2017. Merry Switchmas! It’s going to be a long six weeks.